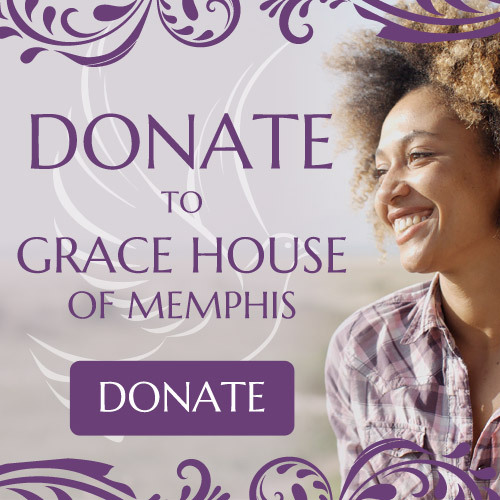 Charlotte Hoppers is the Executive Director of Grace House of Memphis. She has been with Grace House for since 2001, and has served in many capacities within the organization. Charlotte served as Executive Director since November 2010. Ms. Hoppers is a graduate of the University of Memphis. She is Licensed Alcohol and Drug Abuse Counselor II and Qualified Clinical Supervisor in the state of Tennessee, and is a Nationally Certified Addiction Counselor II through the National Association for Alcoholism and Drug Abuse Counselors. Ms. Hoppers has earned a Certificate in Executive Leadership and a Certificate in Fund Development through the Alliance for Nonprofits. At the state level, Ms. Hoppers is active with TAADAS, (the Tennessee Association of Alcohol, Drug, and other Addictions Services), the association of treatment, prevention, and recovery support service providers that supports, educates and advocates for those impacted by addiction. There she has served on the Executive Committee since 2011. She served as President of TAADAS from 2013 – 2015, and is currently serves the Legislative Committee. In September of 2016, Charlotte was presented with TAADAS’ Frank Kolinsky CEO of the Year Award. She has served on the Substance Abuse Committee of TAMHO,( the Tennessee Association of Mental Health Organizations), and serves on the Tennessee Co-Occurring Disorders Steering Committee, the Strategic Initiative Advisory Group and assisted in designing and implementing a learning community across the state for agencies serving people with co-occurring substance abuse and mental health disorders and other complex issues. Ms. Hoppers has served on various other local boards and committees reflecting her commitment to removing barriers and extending a “hand up” to those seeking help in building a better life, particularly women whose lives have been adversely impacted by addiction and mental illness. Charlotte’s heart is with the women that Grace House serves. Along with her administrative duties, she teaches a weekly Spirituality class, consults with staff on clinical issues and makes sure that the clients at Grace House know that her door is always open to them. She is very clear that they, the women that Grace House serves, are the reason that she is there and why she so committed to seeing that they have the opportunity to choose a different kind of life and learn the tools and life management skills to deal with life on life’s terms.